In this week’s episode, Ugo and Isabel interview Tarek Loubani, a Palestinian-Canadian doctor who has created low-cost 3D-printed medical devices to help with the lack of supply in Gaza. We also discuss the importance of having repair parts available to keep all medical devices working for longer, and opportunities for 3D printing to boost independence and resilience when using these devices. First, Tarek tells us about the start and motivations for the project. In the context of the Gaza blockade, he had been trying to figure out ways to ensure the necessary supply of medical devices in Gaza hospitals. Playing with a toy stethoscope, he realised it could be reasonably functional, so he put together a group of engineers to come up with a simple, low cost, 3D-printed alternative, which costs less than $3 to produce. Not only did it work, it has recently been clinically validated! This proves that it is 100% as good in terms of quality compared to current professional competitors, which cost a hundred times more. Tarek tells us how there was an initial skepticism around quality as they produced domestically, so this validation is great news for the team, as well of course as for hospital patients. Next, we discuss other devices that Tarek’s initiative has helped 3D print. His group was approached by the Disasters Committee in Gaza, who called attention to the fact that many people in Gaza’s 2014 war died as a result of gunshot wounds in their arms and legs. So Tarek and their team came up with a 3D-printed tourniquet to help medical professionals block hemorrhages. This device again proves crucial given the recent March protests in Gaza, where almost 1,000 people were shot in one day, with about 80% of these being injured in arms or legs. 3D printing is usually not an effective way of printing large amounts of units of a product: it’s a slow process, with a large environmental footprint. However, Tarek reminds us that the real problem in Gaza is the blockade, drastically limiting access to all kinds of supplies. In this context, 3D-printed devices can be the difference between life and death. Tarek tells us about Gaza’s 100% plastic recycling rate, and how they use recyclable ABS plastic and solar power to 3D print, as they can’t rely on electrical supply. Finally, Tarek comments on the importance of bringing 3D printing literacy and skills to other parts of the Gaza strip. For example, they have had high school students come to their office to learn first hand from this work. But the whole world can learn from more repairable and modular medical devices. Even in high-income countries like Canada, Tarek reports, expensive devices such a pulse oxymeters fail and can’t easily be repaired. 3D-printed devices may in the future offer more independence and prove more affordable in the long run. Why spends lots of money in something you can’t easily repair? With the end of the year approaching, we have put together our Top 10 list of 2018 shows. Sit back and relax, it’s the perfect time to catch up with our episodes. 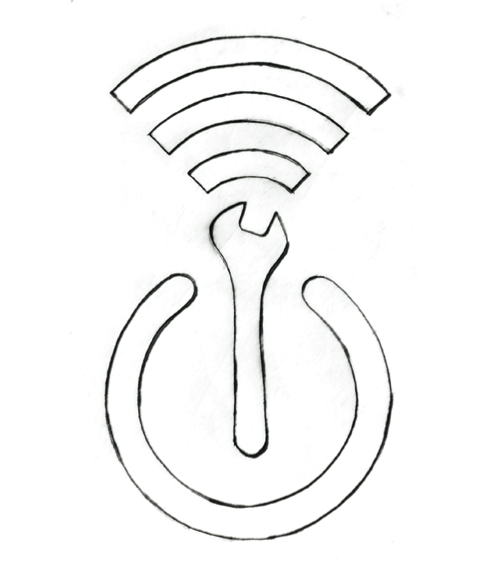 In this month’s radio takeover, Restart volunteers Ben Skidmore and Dave Lukes talk about “repair on the edge”: how to deal with unsual fixes when one lacks the necessary skills or tools.